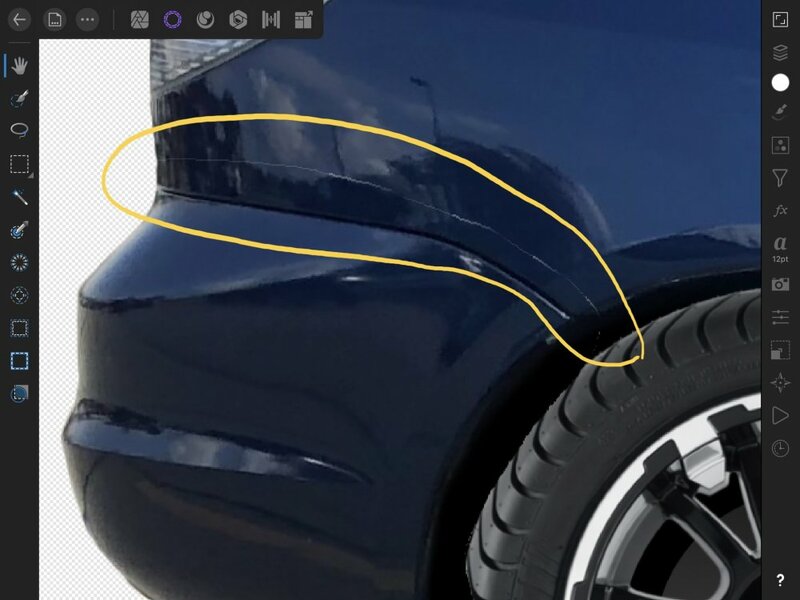 I cut and pasted part if an image and the ”cut edge” is clearly visible. Is this typical? BTW, feathering only makes it worse. Success with cutting out is effected by many factors. Helps to start with a high res image. Good contrast is also handy. There are many different techniques, using channels/adjustments to increase image contrast. You can grow/shrink parts of the selection. Create selection as a mask and you can clean up edges post cutting. Have a look through serifs video tutes on selections. There is some good stuff there too. I guess my point/ question is that with other applications on a desktop or laptop this is not an issue. I would expect to see no line with an object that is cut and pasted in the same location. 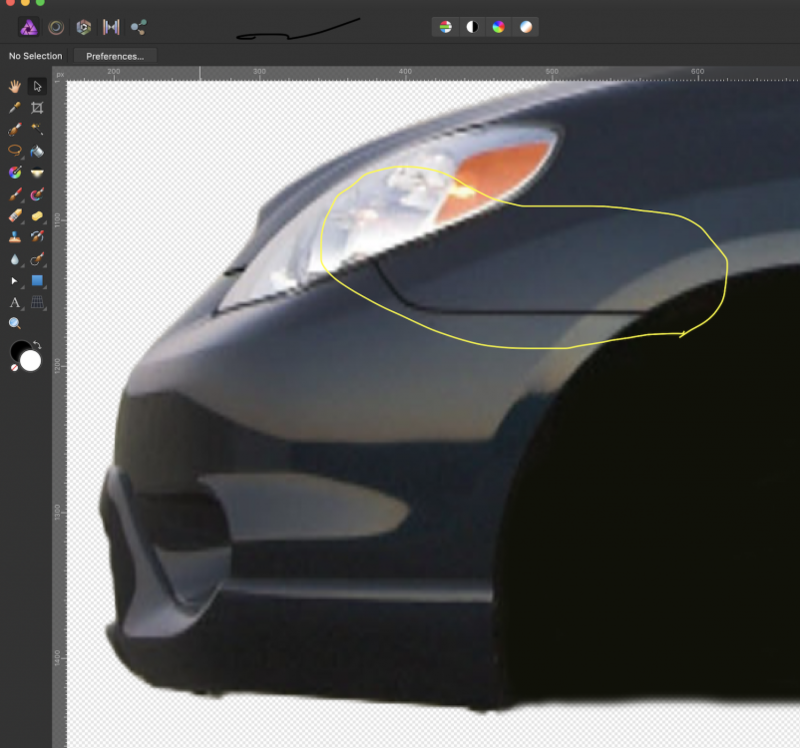 As a comparison, same exact image (other ends of the car, flipped) but with AP on the desktop app.